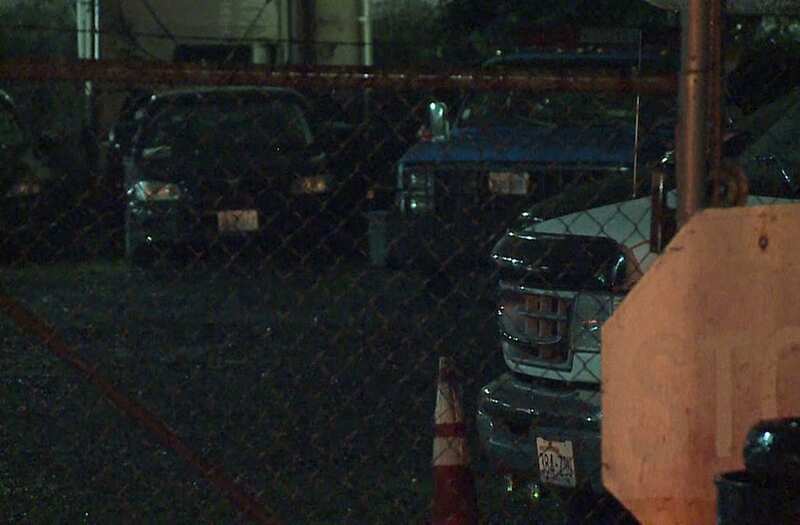 TACOMA, Wash. (KCPQ) -- Pierce County sheriff's detectives on Thursday opened a homicide investigation after tow yard employees in Lakewood discovered a man's body inside the trunk of a car that had been towed there from Tacoma. At about 3:45 p.m. Thursday, Tacoma Towing employees at their a tow yard on 39th Avenue SW in Lakewood found a man's body inside the trunk of a Saturn sedan that had been privately impounded at about noon Wednesday from the area of 97th Street and Sheridan Avenue in Tacoma, the sheriff's office said. "The victim is believed to be a 49-year-old male from the Roy area of Pierce County; the Medical Examiner's Office is currently working to confirm his identity," the sheriff's office said. Detectives are working with multiple police agencies to try to determine the circumstances of the homicide and identify any suspects involved in the crime. A man’s body was found inside the trunk of a car at a tow yard in Washington state on Thursday, according to detectives.